Stevens-Henager College-Ogden is college with 320 students located in West Haven, UT. Describe the type of student who should not attend Stevens-Henager College-Ogden and explain why. Describe the type of student who should attend Stevens-Henager College-Ogden. Why? What is a typical Stevens-Henager College-Ogden student like? Describe the type of person that should attend Stevens-Henager College-Ogden. Anyone who wants to attend. That is one of the beauties about this school. It is a melting pot of all kinds of people from all kind of walks of life. What are the top 3 reasons someone should attend Stevens-Henager College-Ogden? Class size Instructors are very attentive to the needs of students The online classes are very flexible and they are always willing to work with you no matter what. What was a typical Stevens-Henager College-Ogden student like in high school? Describe the type of person that should attend Stevens-Henager College-Ogden. Anyone that is driven to succeed will be a perfect fit for this college. This person has to have specific goals and not let outside influences distract them from reaching those goals. Stevens-Henager College in Ogden/West Haven, Utah has played a vital part in the education of the residents of Utah for 115 years. Founded in 1891, our college in Ogden has a proud heritage in the northern Utah community. Originally a business school, Stevens-Henager College is now a senior college offering bachelor's degrees in accounting, business administration, and computer science. Ogden is the original location for the college, which now has campuses throughout Utah and Idaho. Companies like Adam's Aircraft, Descente North America, Goode Skis, Kahuna Creations, and JDH group have established their national headquarters and facilities in Ogden to take advantage of the many resources, relative low cost, well-educated employees, and unique geographical ability to provide easy access to air, truck, and rail transportation. Ogden's selection as a major venue city for the 2002 Winter Olympic Games has focused even more attention on Ogden as a recreational Mecca. Combining Ogden's world-class recreation amenities with a restored Historic Business District featuring distinctive shopping and dining, some of the best museums in the country, and outstanding cultural events, you have a city not to be missed as you complete your degree to enter a rewarding in-demand career in healthcare, information technology, or business. Visit us at the Ogden campus to meet our friendly staff and tour this beautiful campus. Stevens-Henager College was founded in Ogden-West Haven, Utah, in September 1891 by Professor J.A. Smith as the Intermountain Business College. The College's purpose was to teach commercial subjects and place graduates in business positions. 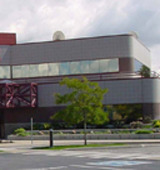 The College was known over the following 68 years as Smithsonian Business College, Moench University of Business, and Ogden-West Haven Business College. In 1959 the name was changed to Stevens-Henager College. The main campus is in Ogden-West Haven, and branches were established in Provo, Utah, in June 1978; Salt Lake City, Utah, in August 1999; Logan, Utah, in October 2001; and in Boise, Idaho, in April 2004. What are the top 3 things that students do for fun at Stevens-Henager College-Ogden? Most of my classmates have stated that spending time with family, knitting, writting or writting music is some of the things that they do for fun. The average student pays $19,422 for tuition, fees, and other expenses, after grants and scholarships. Total stated tuition is $16,100, in-state and on-campus, before financial aid. Want more info about Stevens-Henager College-Ogden? Get free advice from education experts and Noodle community members.